Uses: Banquet Hall, Community Center Colors: Red/Mauve Lengths: 9 panel 16'-9" Heights: 5'-9"
Scott our Director of IT visited his old alma mater the University of Illinois for homecoming. After touring many iconic buildings Scott joined the rest of the guests at an alumni banquet at the University of Illinois Historical Building and captured these great photos of our portable partitions in use. 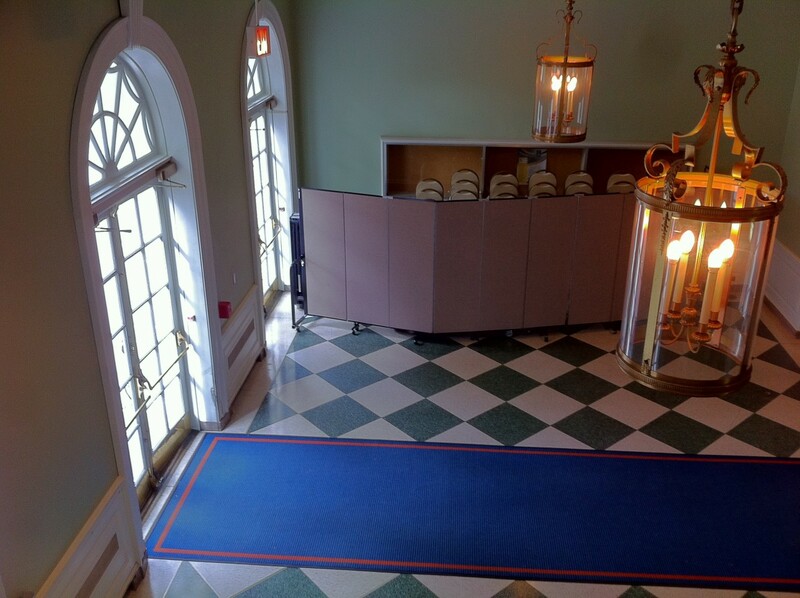 The university is constantly changing the use of their banquet hall throughout the day. From hosting world dignitaries, student clubs, and team meetings, the space needs to flexible in its size and use. 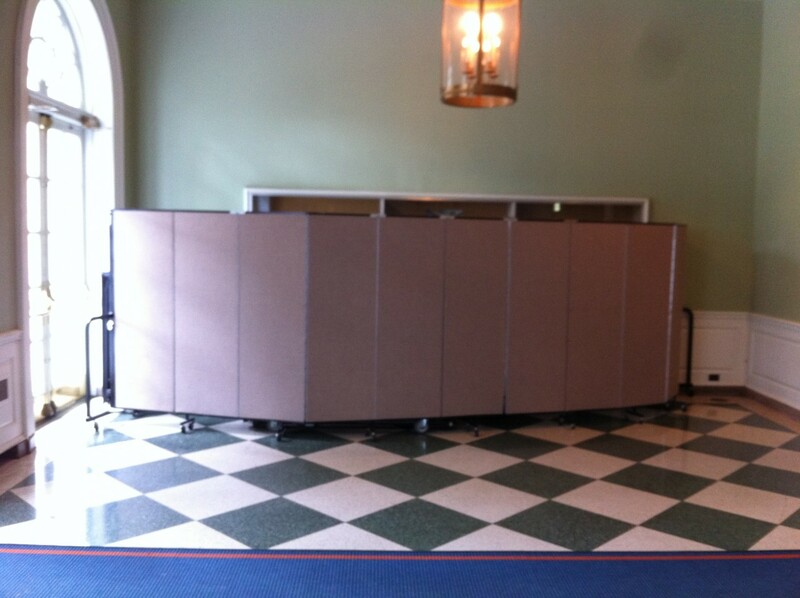 And Screenflex movable walls help them achieve just that. 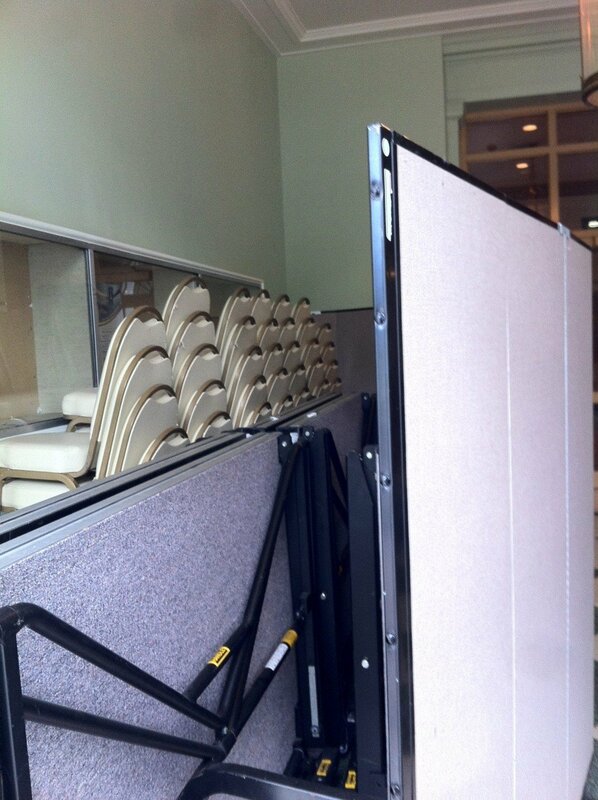 Whether it is dividing the room into smaller more usable space, absorbing sound, being used to display flyers and posters or creating a hidden storage space for unused banquet chairs and tables, Screenflex is cost effective solution for your needs.